In his moral essay, On the Shortness of Life, Seneca, the Stoic philosopher and playwright, offers us an urgent reminder on the non-renewability of our most important resource: our time. It is a required reading for anyone who wishes to live to their full potential, and it is a manifesto on how to get back control of your life and live it to the fullest. Seneca urges us to examine the problems that result in life seeming to pass by too quickly, such as ambition, giving all our time to others, and engaging in vice. He argues that we have truly lived only a short time because our lives were filled with business and stress. How do we regain our time back? It is by studying philosophy, working towards meaningful goals, and not putting off the enjoyment of life. Before we continue with the essay’s key lessons, a bit of background: De Brevitate Vitae, as it is known in Latin, is in fact addressed to Paulinus. This is most likely Pompeius Paulinus, a knight of Arelate and historians date it around 49 AD. What we find in reading the essay is that Paulinus was praefectus annonae, or the official who superintended the grain supply of Rome. We see this when Seneca is imploring Paulinus to transition from taking stock of the grain supply to taking stock of his life. And if you’re new to Stoic philosophy, here is a bit of background on Seneca (although you are welcome to read our longer profile): Seneca was one of the three most important Stoic philosophers, along with Marcus Aurelius and Epictetus. He is also infamous for serving as an advisor to Nero, one of the most cruel emperors. He is best known for this essay but also for his Epistulae Morales ad Lucilium, better known as Moral Letters to Lucilius, which we also highly recommend. Below you will find key lessons from the essay, great quotes as well as our suggested translation to get. Just like Meditations by Marcus Aurelius, another imminently readable Stoic text, it will mark you forever if you let it. Does it make any sense to value anything above your only life? Seneca certainly doesn’t think so. Yet we find ourselves trading our only life away to make others like us, to get money (which we cannot use in the grave), and be lazy, distracted and entertained. 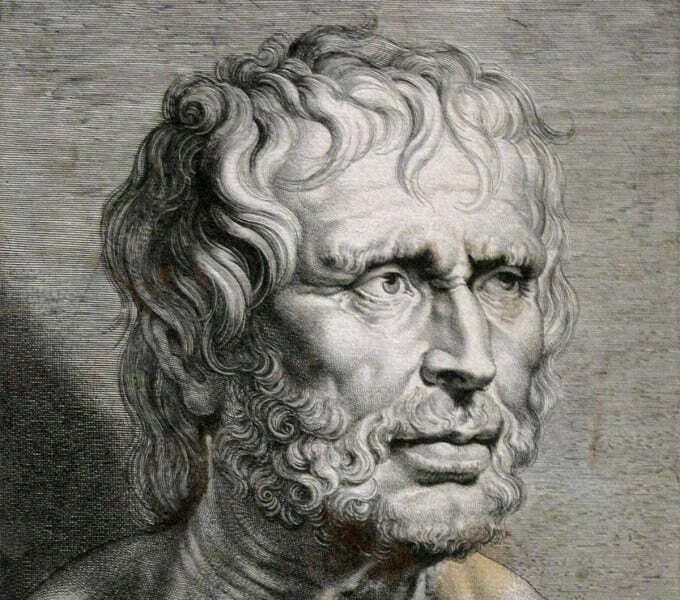 The main reason that we do so, Seneca argues, we waste so much of our time is because we forget that it is limited, that we are going to die. Wasting time is the worst thing we can do to ourselves, but of course, there are many things and people that would take away our precious time. When Seneca says to be “miserly” with your time, he means it. He implores us to be suspicious of any activity that will take a lot of time and be prepared to defend ourselves against unworthy pursuits. It is with a similar reminder that Stoic Emperor Marcus Aurelius would urge himself in his Meditations, realizing the limited amount of time we have: “You could leave life right now. Let that determine what you do and say and think.” For that very reason we have created our memento mori (“remember that you will die”) medallion, a physical reminder to carry that sense of urgency in one’s pocket and not waste a second. Seneca uses the example of highly successful Romans to demonstrate that great achievement comes at a high price: a life that rushes by, filled with obligations and empty of leisure. Seneca mentions that Augustus Caesar, considered one of the greatest Romans of all time, constantly wished aloud for a break from his many duties and desperately longed to live a leisurely life. Augustus spent his life in directing conquests, but ultimately did not even have control of his own life, because he was not free to use his time how he wanted. Seneca wanted to demonstrate that the greatness men strive for can be a horrible trap, an overwhelming river of responsibilities that washes away the only life we get. Seneca is making a powerful claim—it would be better to live as you choose than to rule the world. The great Roman politician, speaker, and writer, Marcus Cicero, considered himself a prisoner in his large and luxurious home, simply because of his many obligations. He complained about the life he had, a life that many others surely envied, and one that certainly had potential to be enjoyable. Seneca is critical of Cicero’s complaint of being a prisoner, claiming that no Stoic could ever be a prisoner since he possesses himself in any circumstance, being above despairing about one’s fate. This is a brief return to the prescription of philosophy, especially Stoic philosophy, for the problem of a life that can seem to rush by uncontrollably while we scramble to do our work and please others. Seneca believes it is important to make room for leisure in life, but a life of pure leisure is considered meaningless. He speaks of people who never have to lift a finger and have unlearned basic human functions as a status symbol, something that still occurs in our time. He says of such a man, “He is sick, nay, he is dead.” Purposeful living is required to truly live, as long as it is a purpose that one owns and controls. Seneca is also critical of another type of excessive luxury, that concerned with making a show of everything and being fancy. He calls people who pursue this “idly preoccupied” and thusly wasting their only lives on vain pursuits. He condemns those concerned about the appearance of their hair, which could be extended to anyone who fusses over their looks, and claims they are not truly at leisure. By focusing on how we look, we are wasting our most precious resource of all, time. There are endless other distractions this lesson can be applied to, especially in modern times, where we invest a lot of life force in our presence on social media. An interesting way to conceptualize this is to think of the screen sucking your soul away while you browse Twitter and Facebook, or while you watch TV. Since our time is our only life, this is not an exaggeration. There is no shortage of things that take away our time and we must guard against them. To live this lesson, practice saying “No!” to many of the time-wasting things that you do, like trying to impress people or staring at a screen. Consider whether your potential actions are virtuous, will truly benefit you, and whether they are worthy of making up your only life. If not, commit to turning it down, even if it might cause others to be displeased with you. The lessons from On the Shortness of Life urge us to take stock of how we have lived so far, and to count the time that has been truly lived, as opposed to filled with unworthy busyness and distractions. What you can start doing today is to practice the Stoic art of journaling and start reflecting on how you spend each and every day. To borrow from Seneca, his favorite time to journal was in the evenings. When darkness had fallen and his wife had gone asleep, he explained to a friend, “I examine my entire day and go back over what I’ve done and said, hiding nothing from myself, passing nothing by.” Then he would go to bed, finding that “the sleep which follows this self-examination” was particularly sweet. The final lesson we should take away from Seneca’s work, and a theme that is constant for the Stoics in general, is that we need to remember that we could die at any moment, and that barring some massive medical breakthrough, we have at most a few more decades left to live. We should find a way to remind ourselves every day that we are going to die, perhaps by placing Sticky notes in places we will see every day. You might feel like you don’t forget that you’re going to die, but do you think about on a regular basis? Does it inform your decision-making? Most people can’t say yes to that, so we must do a little work to make sure we can. We recommend Penguin’s On the Shortness of Life edition translated by C.D.N Costa which includes two other great short pieces of writing from Seneca. It is a beautifully designed edition and fits perfectly in your back pocket. You can also read the essay for free online here, a translation by John W. Basore.